The construction characteristics of the Speroni MAGIS make it the most robust, accurate and repeatable benchtop model on the market. Gauge R & R tests prove the precision during length measurements, but even more impressively in diameter. Don't believe us? Test the Speroni MAGIS in your shop to see the proof. 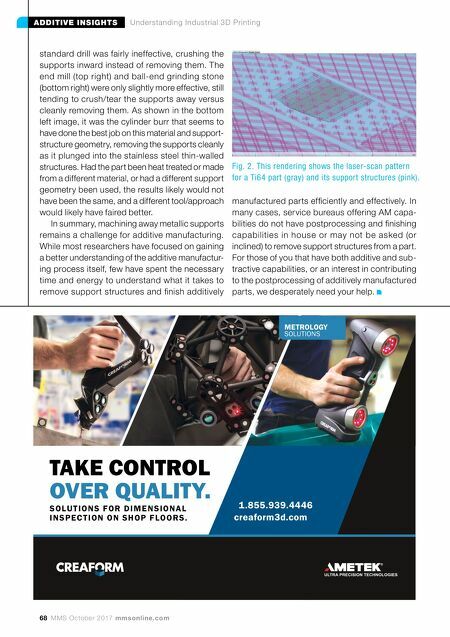 THE MOST RELIABLE BENCHTOP TOOL MEASURING INSTRUMENT AND WE'LL PROVE IT. Visit BIGKAISER.com/TestUs to request your Speroni MAGIS no-risk trial. A Member of the BIG DAISHOWA Group www.bigkaiser.com 1 2 3 4 5 6 7 8 9 10 .0020 .0025 .0015 .0010 .0005 0 GAUGE REPEATABILITY & REPRODUCIBILITY MEASUREMENT NO. 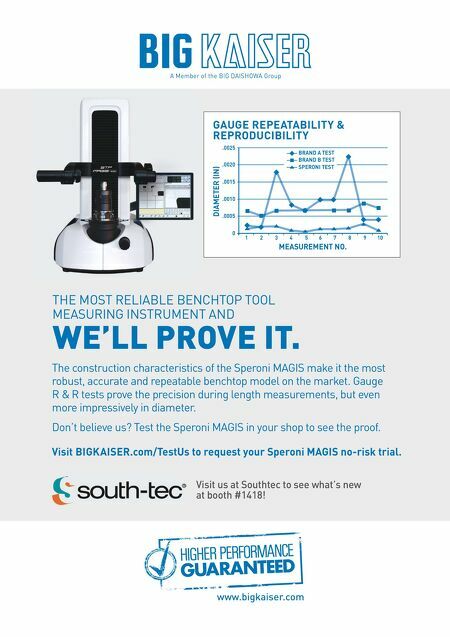 BRAND A TEST BRAND B TEST SPERONI TEST DIAMETER (IN) Visit us at Southtec to see what's new at booth #1418!